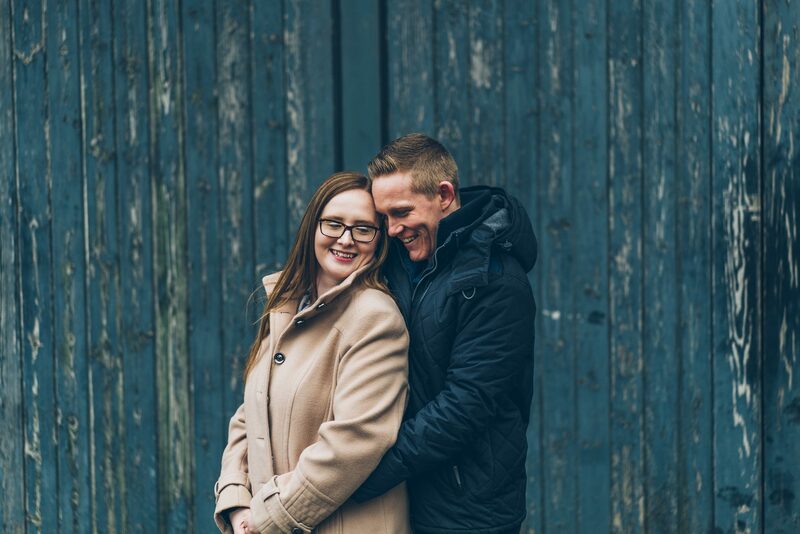 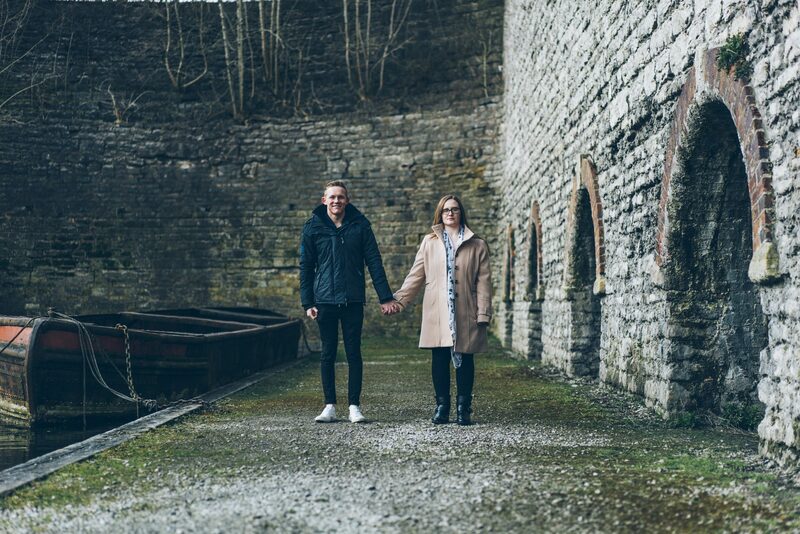 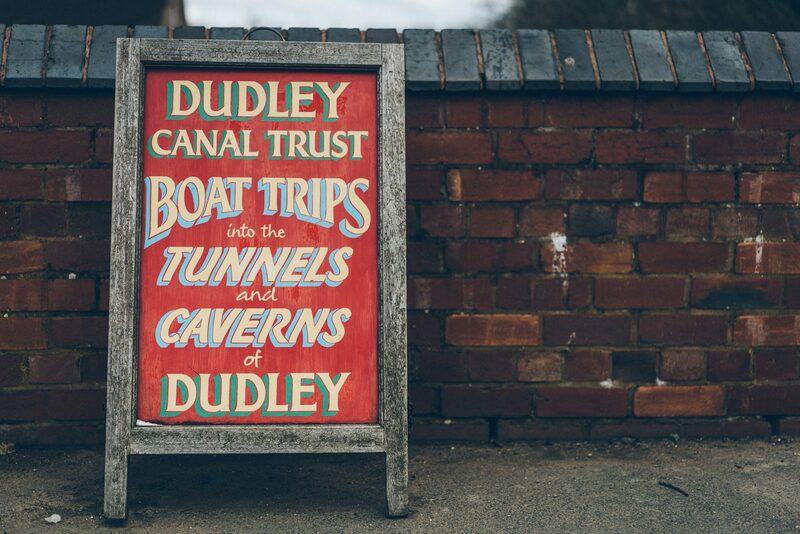 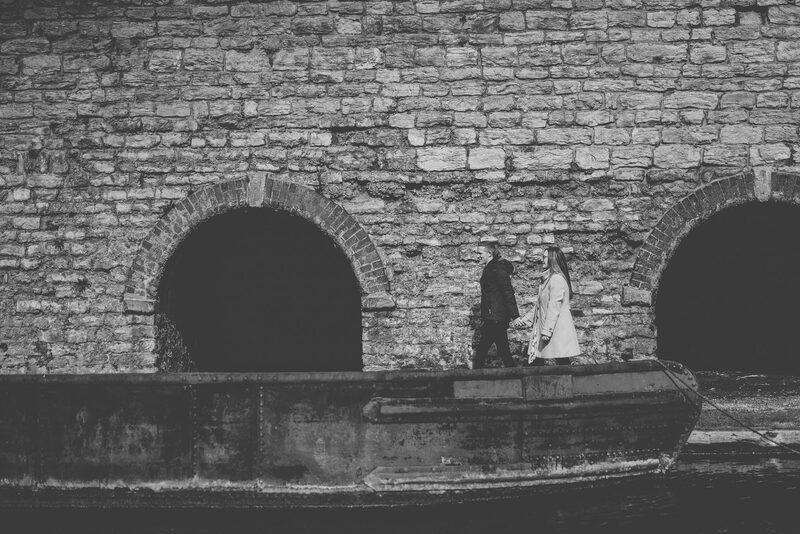 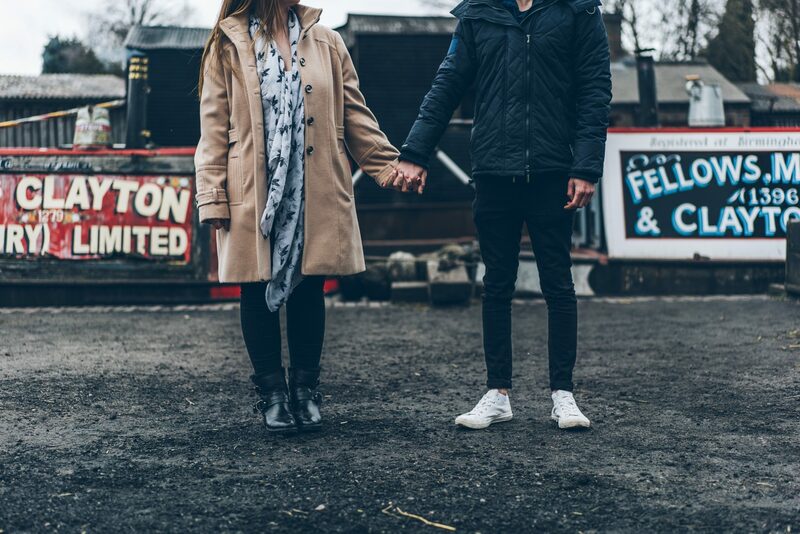 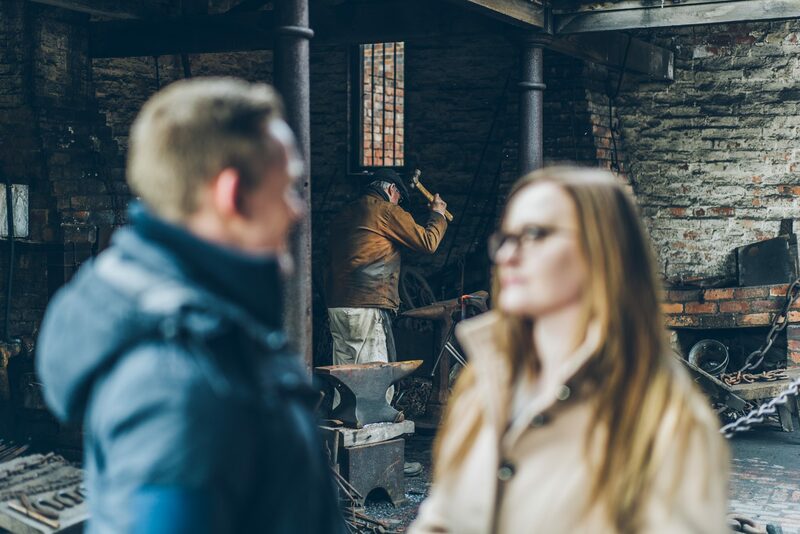 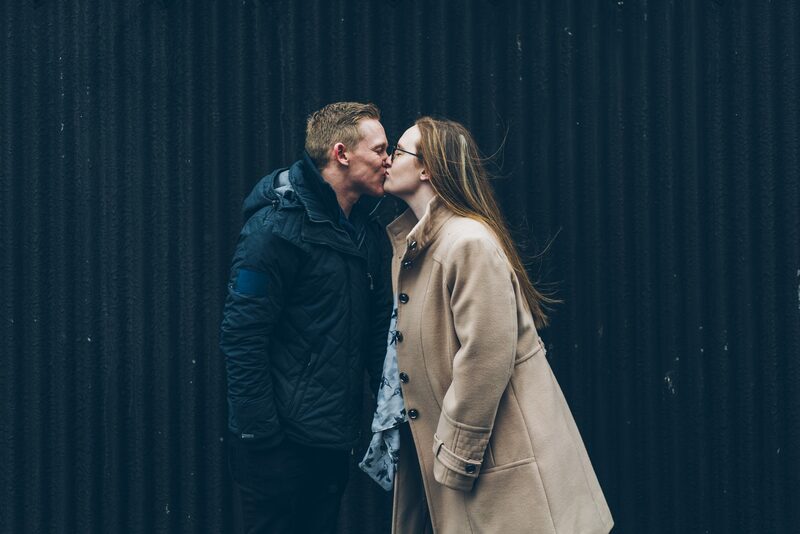 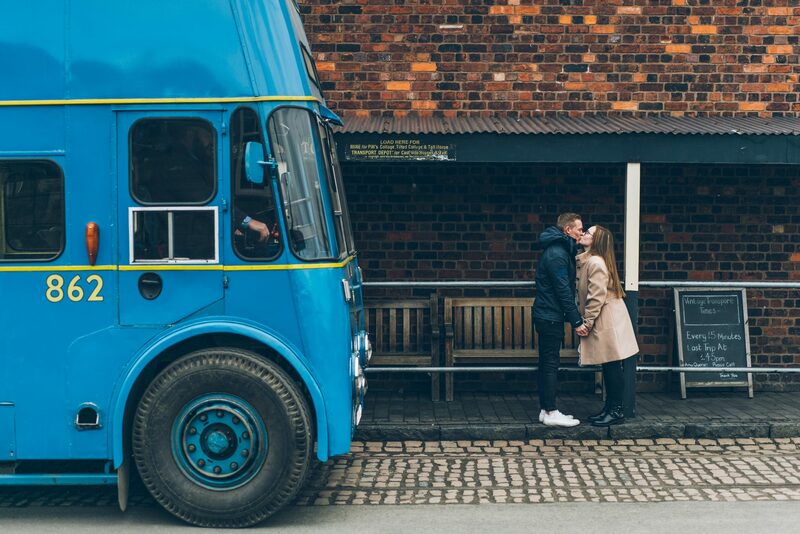 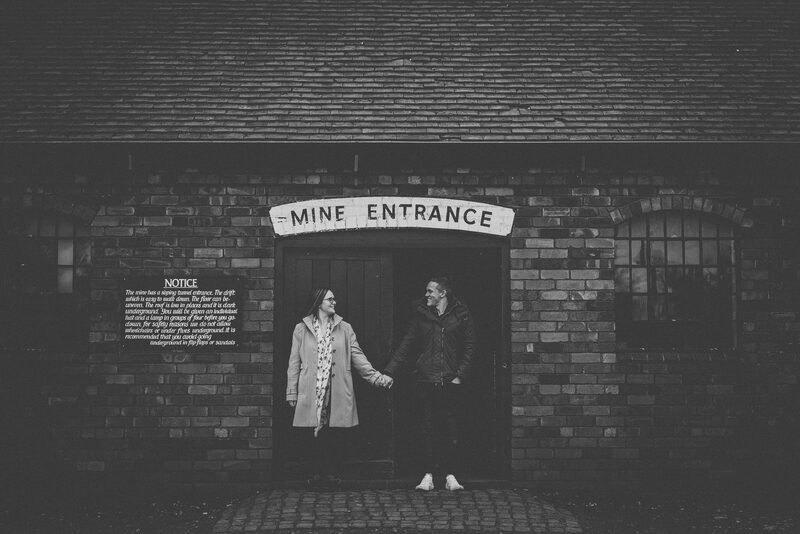 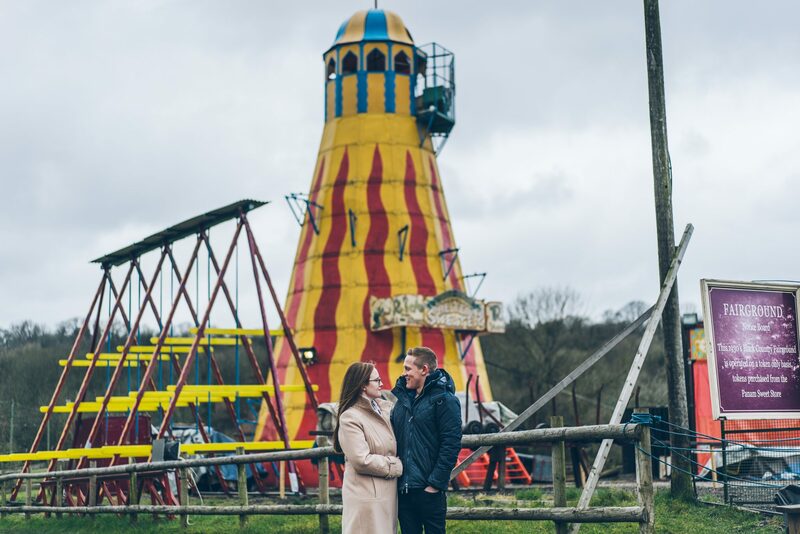 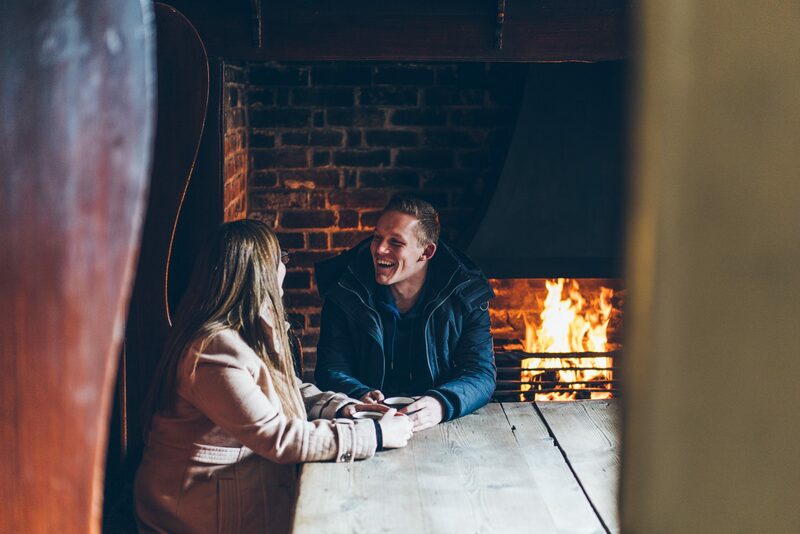 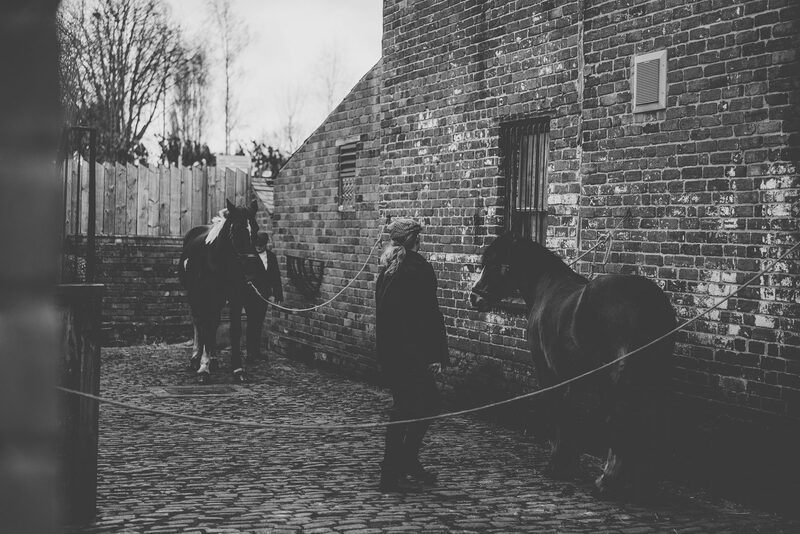 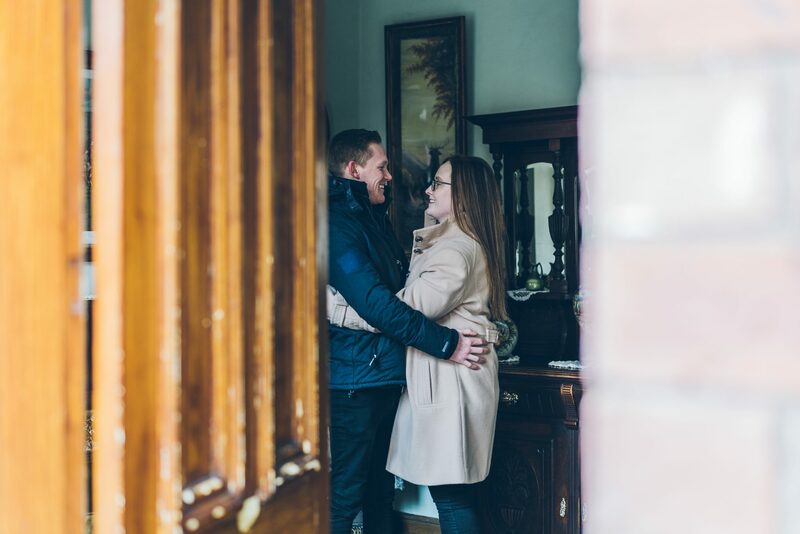 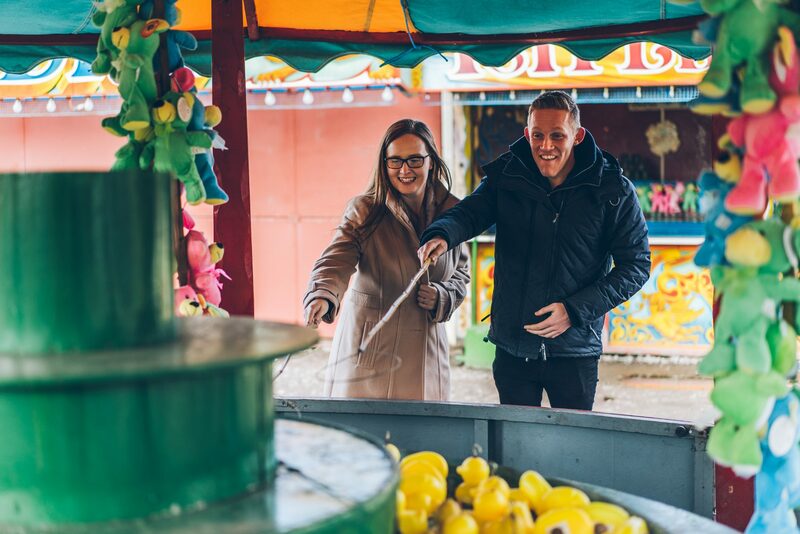 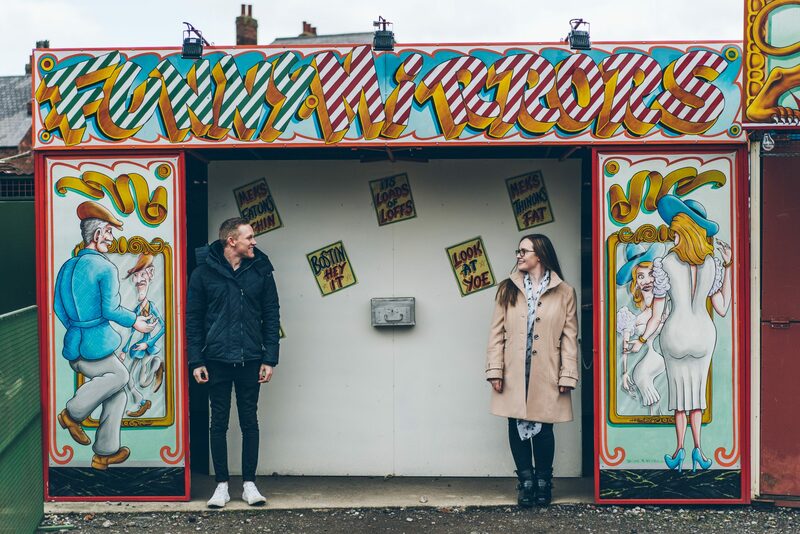 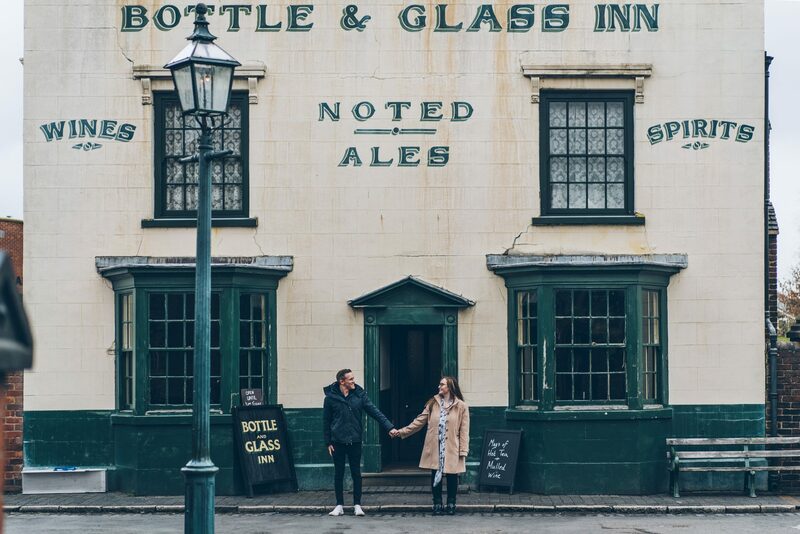 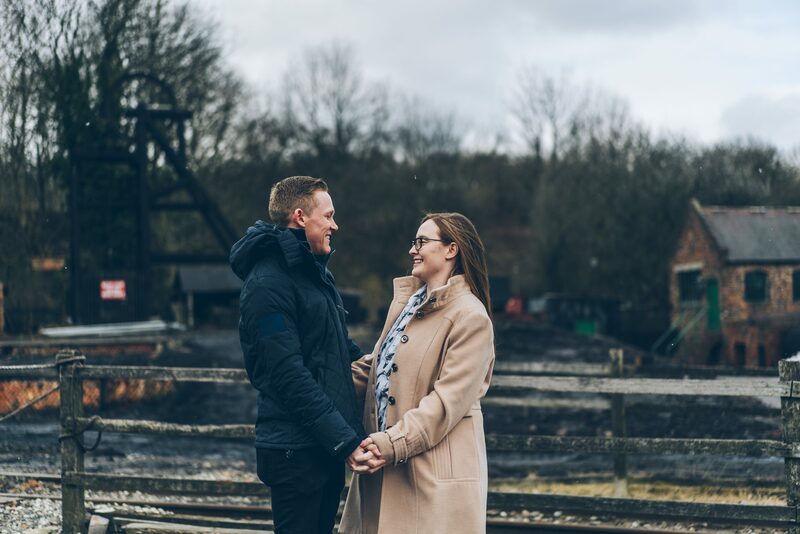 Emma and Nathan picked the stunning location of ‘The Black Country Living Museum‘ for their pre-wedding shoot. 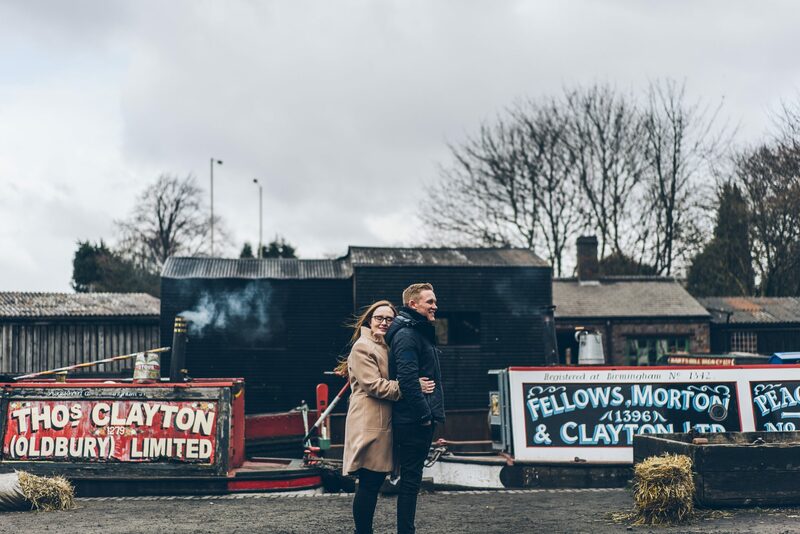 Soaked in vintage style, bursting with insane textures and riddled with Peaky Blinders filming locations! 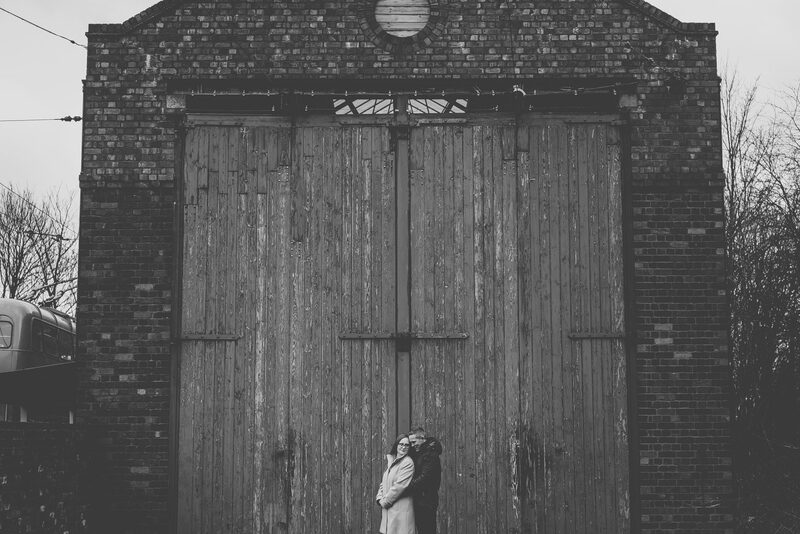 This made for a really exciting location for a pre-wedding photoshoot and it was actually the first time David Boynton Wedding Photography has had the pleasure of shooting at the iconic museum. 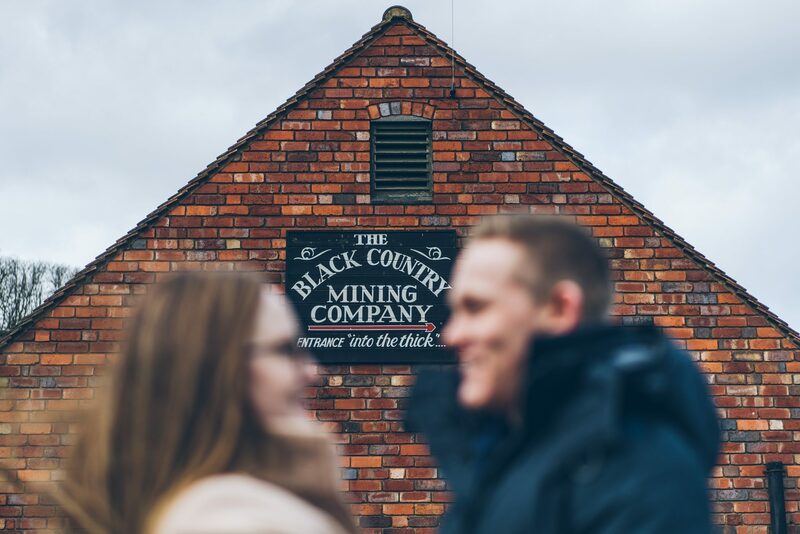 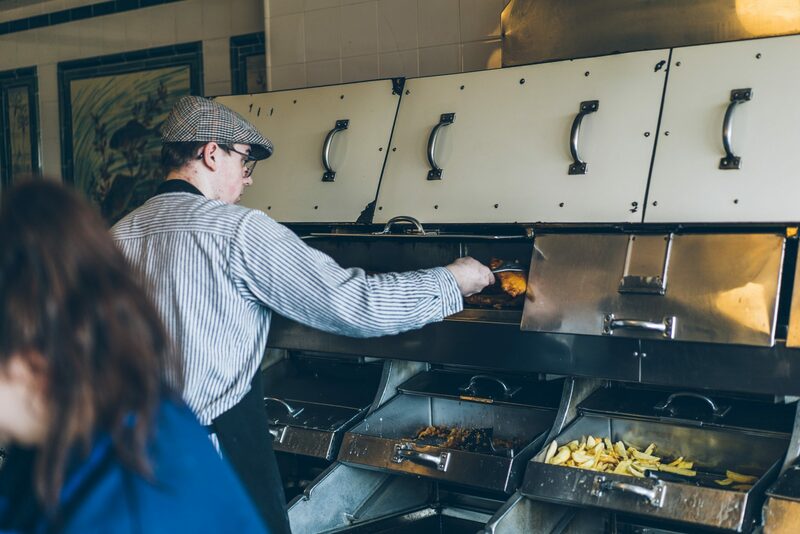 As we made our way through the streets of the museum we were stopped in our tracks multiple times by actors who never break character, telling us whimsical tales with Black Country slang. 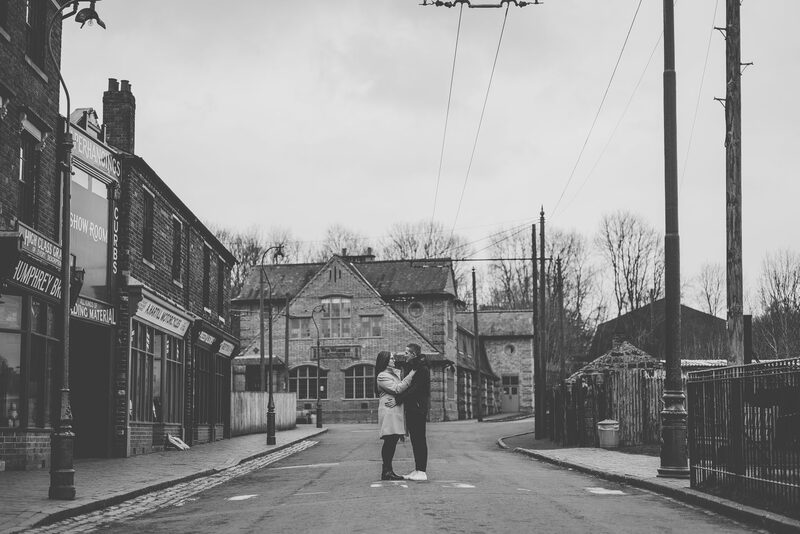 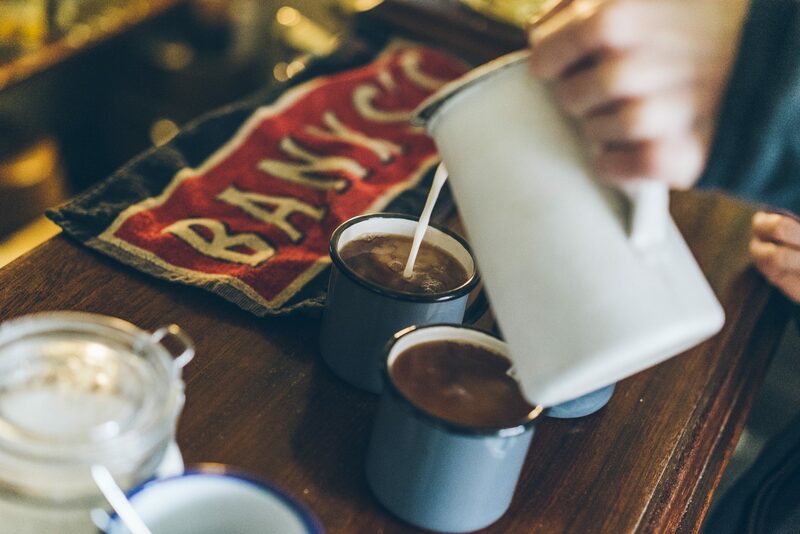 We warmed ourselves with a cup of tea in the traditional english pub before making our way down to the cut and get some photos in ‘Charlie Strong’s scrap metal yard‘. 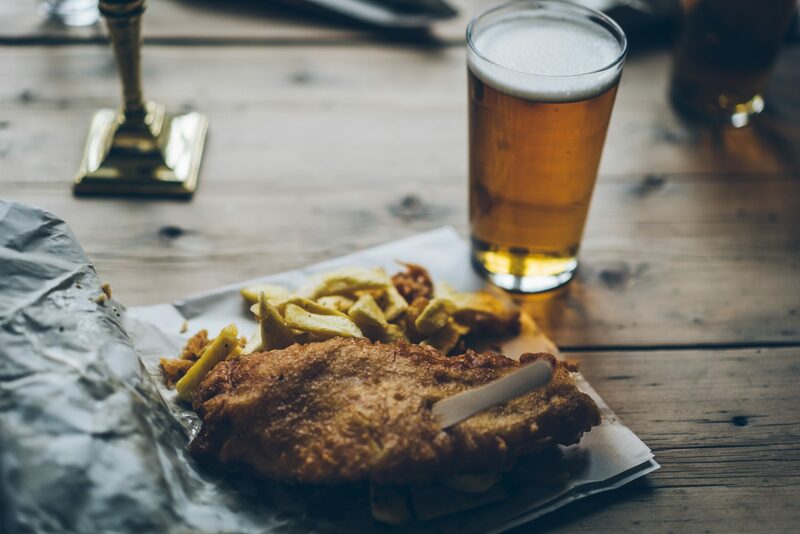 We even found time for a trip to the traditional fish n chip shop and a sneaky pint of ale. 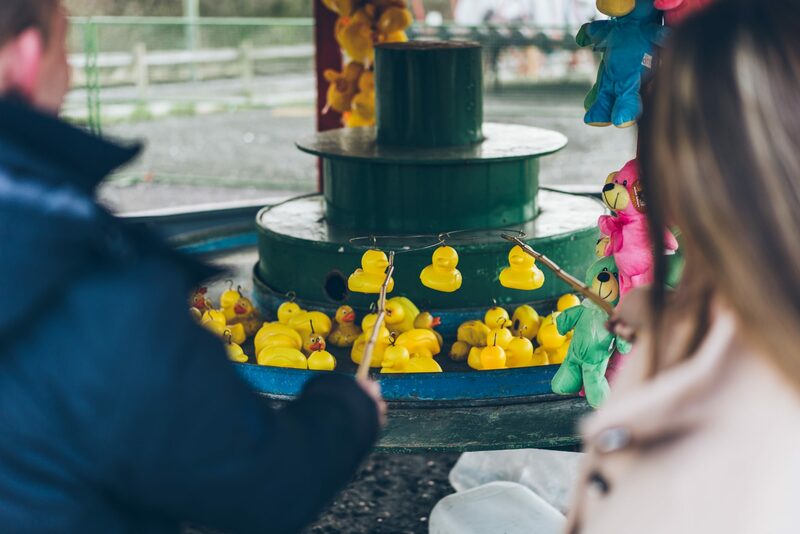 Then we finally signed the shoot off with hook a duck at the on site fair ground!